A commemoration… – Putting the "hip" in "ships" since 2002! Personally, I’m in the group who caught the bug in the mid-1980s when I happened to see the compelling, respectful, and poignant National Geographic documentary about Dr. Robert Ballard’s discovery of the wreck. I’m not sure if “inspired” is the right word, but I was subsequently moved to co-write a screenplay with my friend Dudley Sanders entitled Dead Reckoning. 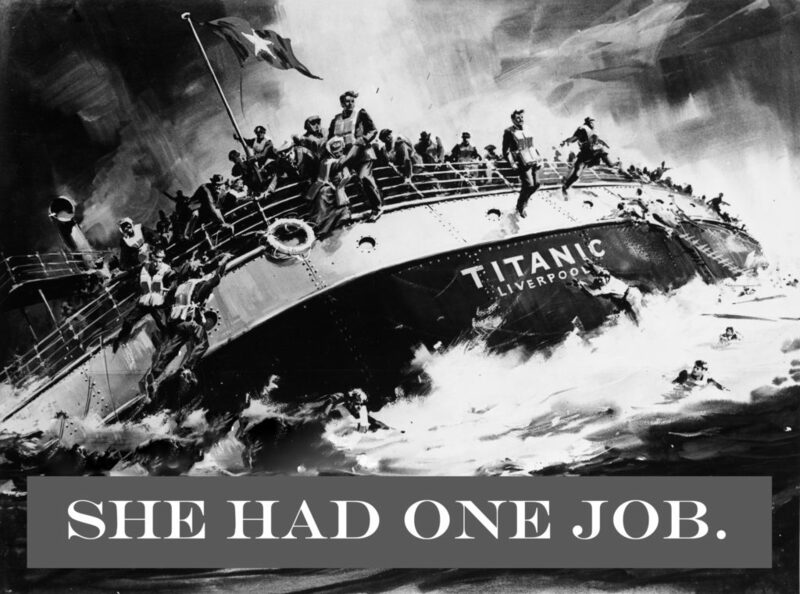 It was a hybrid historical drama/action-adventure film, and while the script was universally praised by the studios that considered it in 1988, they all declined to move forward for the same reasons: “this would be the most expensive movie ever made, and nobody wants to see a film about the Titanic.” The conventional stupidity of the time was that there was no point in telling a story whose ending everyone already knows. *Ahem. * Tell that to Mr. Cameron. Outcome aside, Dudley and I prided ourselves on our research, including Lord’s first book and its follow-up, The Night Lives On. We ordered deck plans through the mail (in those quaint pre-internet days), and took no creative license other than having the ship’s quartermaster confine an unruly passenger to the dog kennel because we could find no reference to any brig-like space aboard the vessel. I even assembled and painted a model of the ship so that we could more easily choreograph our characters’ footsteps as the ship gradually submerged. Absence of both patience and skill did not deter me from assembling my own model. The 20th Century Fox script reader singled out the thoroughness of our research and apparent affection/reverence for the subject matter as a way of cushioning the rejection. Had our film actually been made, it would have been the first to prominently feature the ship breaking in two as she went down. In the end, suffice to say a few year’s work and passion has since been relegated to a blog post. The story of the ill-fated ship and her unsuspecting passengers nevertheless worked its way deep into my psyche to the point that I joined the Titanic Historical Society, attended one of their conventions aboard the RMS Queen Mary in Long Beach, and even came to believe that I was spiritually connected to the doomed vessel because I had perished aboard her in a previous life—the latter being mercifully short-lived but as I’ve come to realize not uncommon in Titanic folk (though I will admit to a lingering and prevalent fear of drowning in frigid water). 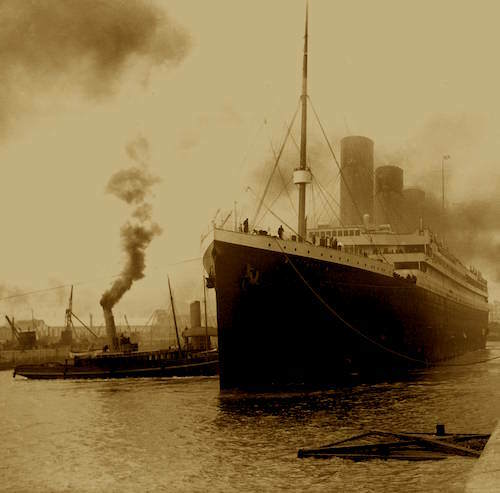 My feelings about the Titanic are complicated, especially around this time of year when they once again bubble upwards and break through the surface gasping for air. 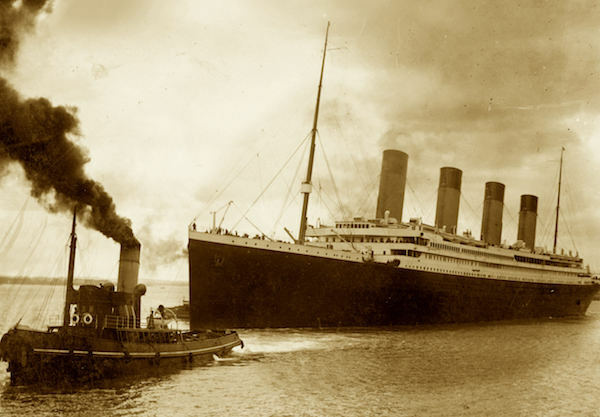 My interest in ships moved on to more successful vessels like the SS United States, and my eyes now roll at each post and tweet commemorating the Titanic as the “greatest” and/or “grandest” ship ever built—neither claim being based in reality. 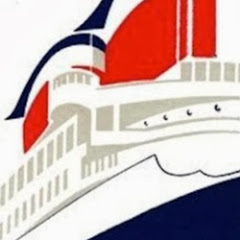 A “great” ship doesn’t founder the very first time she sets out to accomplish the one job for which she was designed, and subsequent liners, such as Britain’s Queen Mary and France’s Normandie, certainly surpassed the rather dowdy Edwardian Titanic in grandeur. *With, of course, the exception of that vile and damnable CBS miniseries.